Note : Call 011-24619431 (IIC) to re-confirm any last minute change or cancellation of the event. 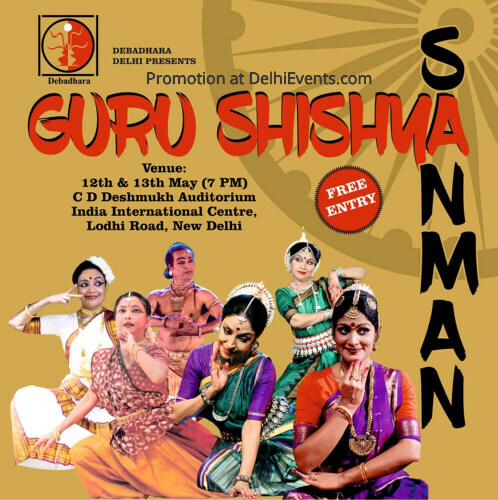 This two days festival of Indian classical dance forms, will feature performances by eminent Gurus, and their disciples. The aim of this festival is to bring different classical dance forms together and showcase them at one platform.